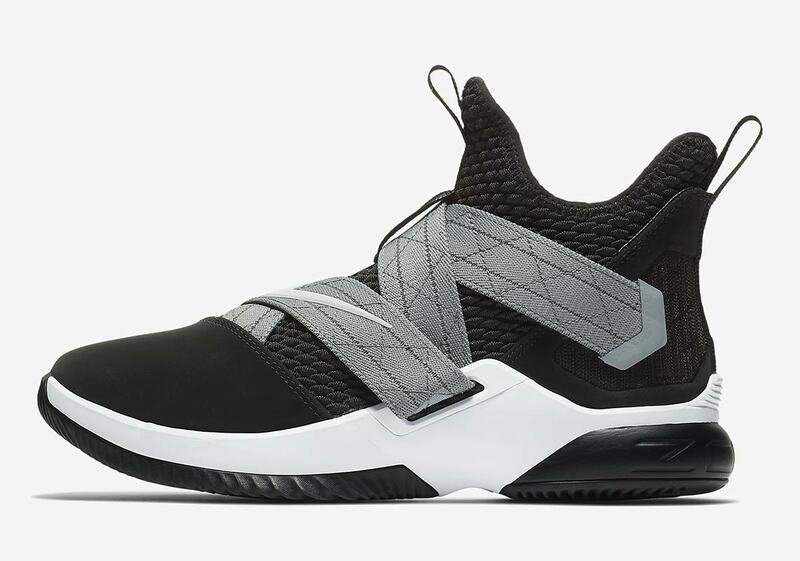 Over its years on the market, Nike’s long-running LeBron Soldier line has offered both interesting design tweaks and striking silhouettes. The LeBron Soldier 12 continued that design ethos with its ultra high-top design and layered Velcro lockdown system in place of the standard laces, offering extra support for LeBron James‘s bullish play style. 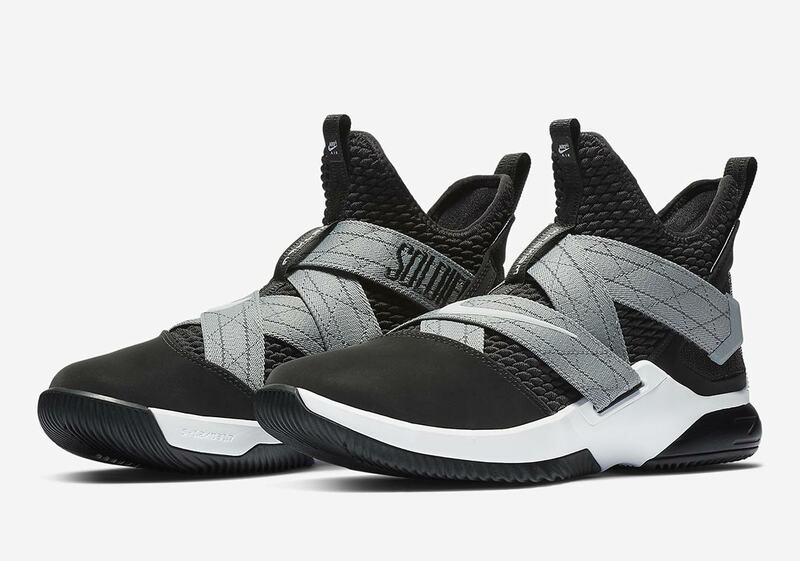 Now, even though it’s been on the market since the end of the 2017-18 NBA season, it’s surfaced in a new colorway that’s inspired by the classic Nike Air Raid from 1991. 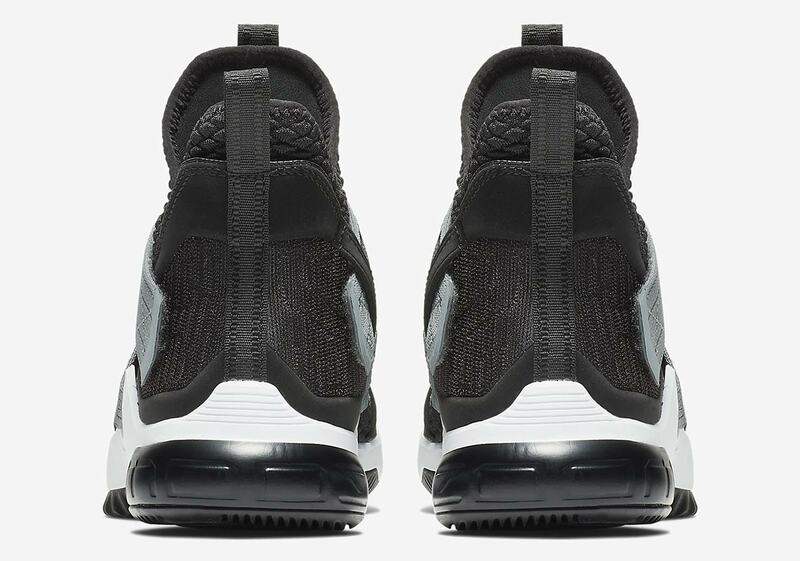 A fitting homage, as the Air Raid was known for its crossing midfoot straps and standout look — even featuring a “For Outdoor Use Only” embellishment on the heel — this new LeBron takes the old-school look and black/grey/white colorway, and brings it forward into a new era. 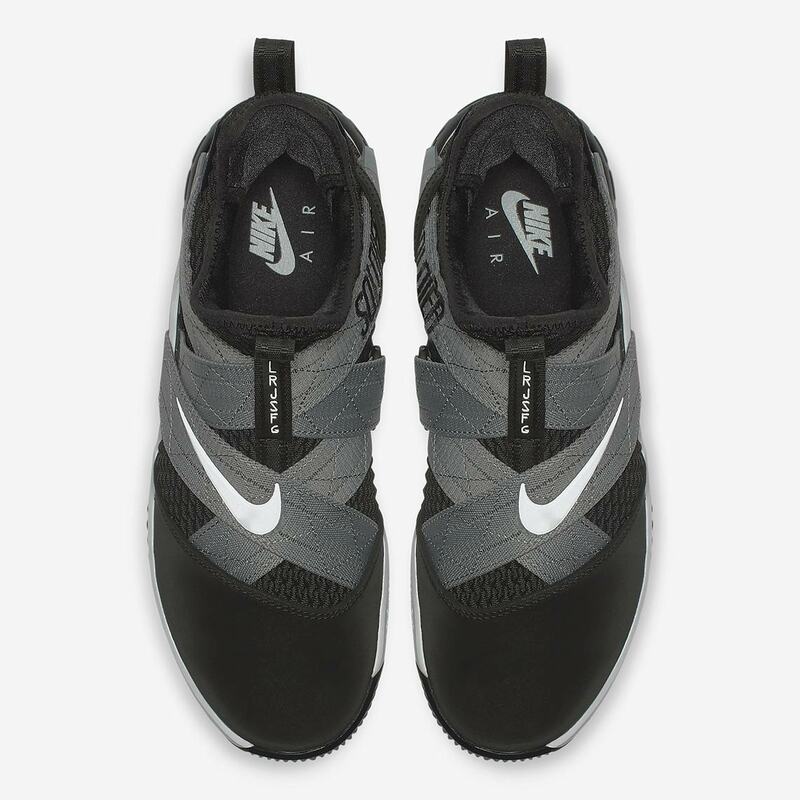 A black knit upper sits under a crisscrossing grey strap lockdown system that features a “Soldier” hit in Air Raid-style letters on the medial side, while a large black nubuck patch appears towards the toe. 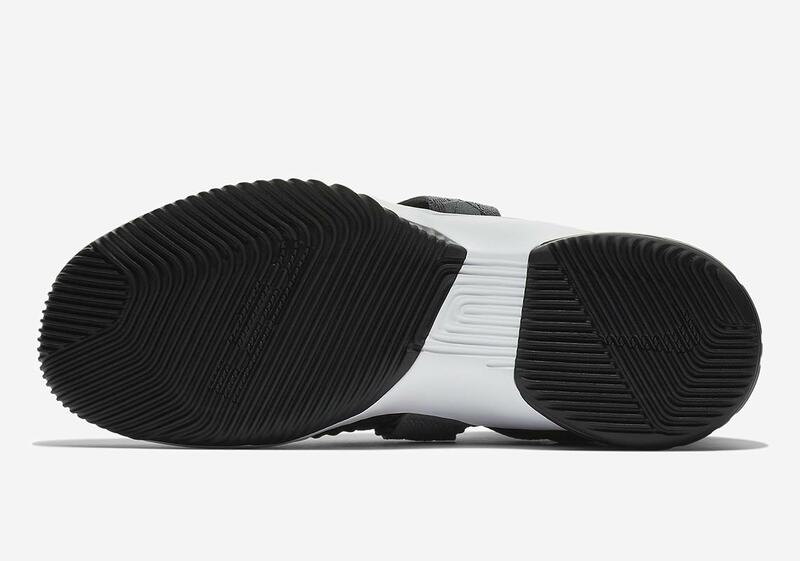 A white Swoosh on the throat, white midsole, and black outsole with a thick Zoom Air unit then complete the look. Need a pair of hoop shoes, or just a true blue Air Raid lover? 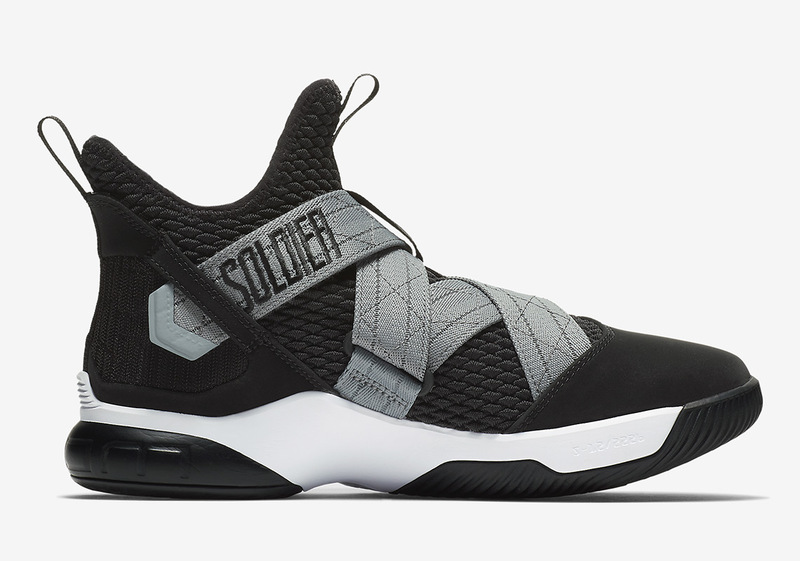 These new Soldier 12s are available now for $140 USD.